Source code in C++ (generic template-based). This version, developed by Benjamin Laugraud, is slightly faster than the original version and is fully generic. Ideal for integration in your code or for experiments (other distance function, any color scheme, etc). Follow the link libvibe++.zip and download it. Full documentation of this library. Comes with two programs for use with OpenCV [see the ViBe_8UC3.cpp]. Source code in C (compatible C++). Follow the link vibe-sources.zip and download it. Full documentation of this library. 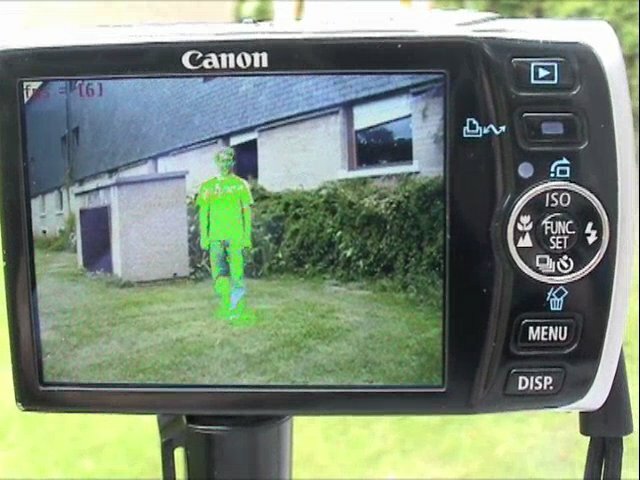 It is shown how to use ViBe with OpenCV [see the main-opencv.cpp file]. A program for Windows and Linux. Download an archive ViBe.zip archive [16 MB] to use ViBe on Windows (or under Wine in Linux). The program allows you to: (1) save the result for your own images, (2) change the few parameters of ViBe to experiment with, and (3) reproduce our results. Windows and Linux users: a benchmarking program to evaluate the time needed by ViBe on your platform and on your own sequences! Download an archive vibe-benchmarking-windows.zip archive [15 MB] to evaluate the time needed by ViBe on your platform (Windows or Linux [Wine]), and on your own sequences. M. Van Droogenbroeck and O. Barnich. ViBe: A Disruptive Method for Background Subtraction. In T. Bouwmans, F. Porikli, B. Hoferlin, and A. Vacavant, editors, Background Modeling and Foreground Detection for Video Surveillance, chapter 7. Chapman and Hall/CRC, June 2014. Available on the University site in PDF format: , in HTML. O. Barnich and M. Van Droogenbroeck. ViBe: A universal background subtraction algorithm for video sequences. In IEEE Transactions on Image Processing, 20(6):1709-1724, June 2011. Also available on the University site in PDF format: , and HTML format. This paper contains a very detailed pseudo-code description of the complete algorithm. M. Van Droogenbroeck and O. Paquot. Background Subtraction: Experiments and Improvements for ViBe. In Change Detection Workshop (CDW), Providence, Rhode Island, June 2012. Available on the University site in PDF format: , and HTML format. O. Barnich and M. Van Droogenbroeck. ViBe: a powerful random technique to estimate the background in video sequences. In International Conference on Acoustics, Speech, and Signal Processing (ICASSP 2009), pages 945-948, April 2009. Available as a IEEE publication or on the University site. Patent description at the "freepatentsonline" web site. ViBe is covered by several patents (patent track: WO2009007198 / Publication date: 2009-01-15; Priority number(s): EP20070112011 20070708) / Europe (granted): EP2015252 / US (granted): US 8009918 B2 (pdf) / Japan (granted): JP 2011 4699564 B2. For any question, please contact Prof. Van Droogenbroeck .